Less than an hour from the bustle of downtown Boston, a forest hideaway provides a peaceful refuge for foxes, otters, songbirds—and people. A summer-camp spot since the 1930s, the 286-acre property is known as East Boston Camps. 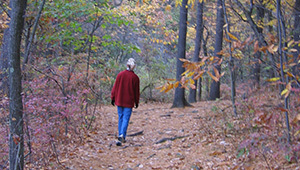 In 2005, The Trust for Public Land worked with the Town of Westford to protect the land for the whole community to enjoy. Conservation also helped safeguard water quality: the same land that supports outdoor recreation drains to the town’s drinking wells. Now permanently protected from development, East Boston Camps offers summer hiking, swimming, and bird-watching and cross-country skiing and snowshoeing in the winter months.